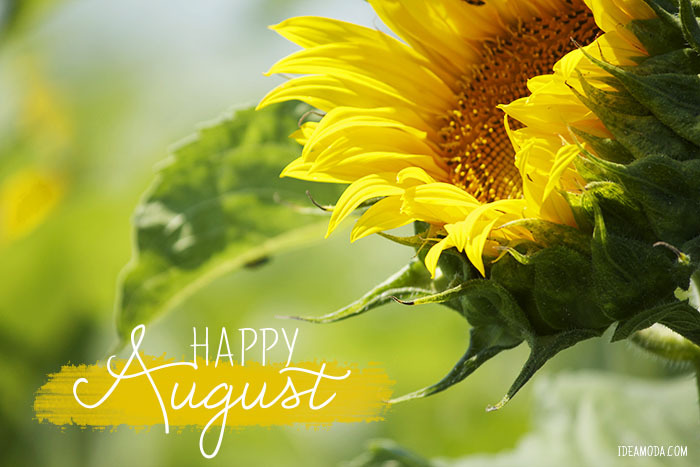 I know I'm a bit late with this one but: happy August!! This month can't get any better because on August 1st I got back my exam results and found out I graduated from University!! The only thing I'm a little sad about is that summer seems to be over, at least here in the Netherlands. Temperatures won't rise above 22C degrees, if the predictions can be trusted. Which of course, can be nice, but I just hope for one more week (or at least weekend!) of 30C degrees so that we can lay outside and work on our tans! The past few weekends (apart from going out and celebrating my graduation) I've been working on my study room at home and transforming it into a home office. I really like the results so far and I can't wait to share the end results with you.